Monji Dolon | A collection of my personal work, including essays, projects, and photos. 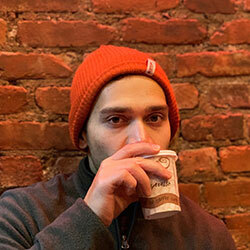 I'm a software engineer living in New York CityNYC. I'm passionate about education, healthcare, and leveling the playing field. When I’m not working, you’ll find me playing guitar, running, surfing, snowboarding, or generally spending time outside of my apartment. A collection of my personal work, including essays, projects, and photos.